As one of the Denver most trusted companies Like New Refinishing is one of the most reliable company in Colorado. 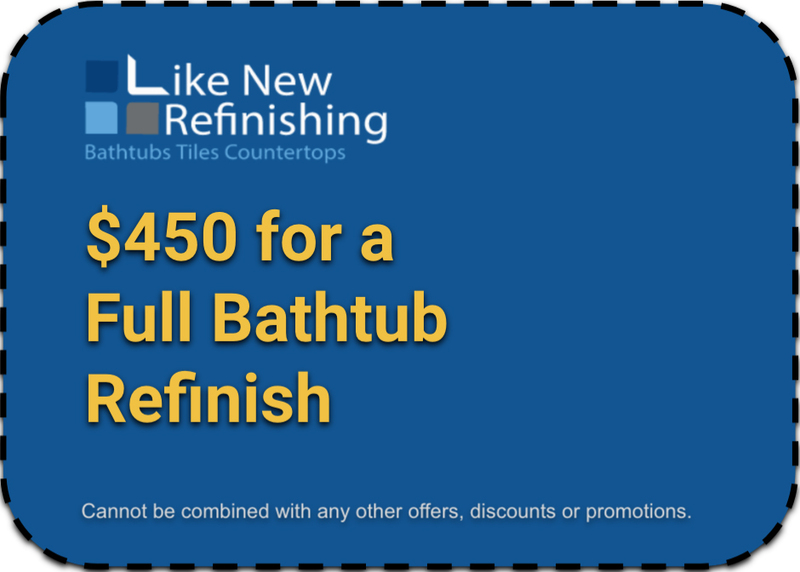 With our high quality performance and products, we can repair almost any bathtub as well as add more than 10 years of useful service life to your bathtub reglaze or ceramic tile surround. Please fill out the form and include any questions or inquiries, or you may reach us over the phone at 720-275-1014. We would be happy to answer your questions or set up a meeting with you. Like New Refinishing can help set you apart from the rest!